Reasons We ❤️ Dad & Father's Day Gift Ideas to Show Him Just How Much! 1. They make the best adventure partners- Building a fort? Going on a treacherous quest? There's no guy better to bring along than good ol' Dad. 2. They make us laugh- If you're having a bad day and just need a good chuckle, you can always count on Dad (even if his jokes are sometimes just a little groan-worthy)! 4. Dads can fix anything!- Speaking of that car engine, we will call our Dads before we EVER make the jump and call the repair shop. 5. They tell the best stories- When we were kids, nothing could make us laugh or keep us up all night more than Dad's stories. Now that we're older...well, not much has changed. 6. They catch bugs (that we're too afraid to catch! )-We don't know about you, but we will get nowhere near a spider if it's bigger than a quarter...and we won't hurt them, either. Leave it to Dad to come to the rescue and put our eight legged friends back outside. 7. They're hard workers- From sun up to sun down, Dads are out working hard. We can thank our Dad's for instilling a good work ethic in us. 8. They have the best advice- Our fathers helped mold us into the people we are today (and we're awesome...so good job, Dads!). 9. They're teachers- We are thankful for all the things the men in our lives have taught us. Whether it be fishing, changing our own oil, or how to throw a mean football pass, they've taught us that we can do anything! 10. They love us, always. - And we feel extremely grateful for that. Bite-sized versions of Dad's favorites! 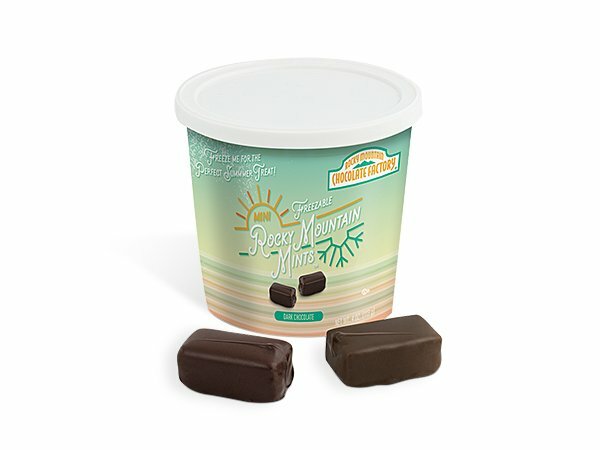 4 oz of individually wrapped, mini renditions of Rocky Mountain Mints™ or Fudge Bites, each in a freezable ice cream pint. For the perfect summer sweet treat, just freeze and enjoy! Peanut butter and chocolate go together like Dad and power tools. 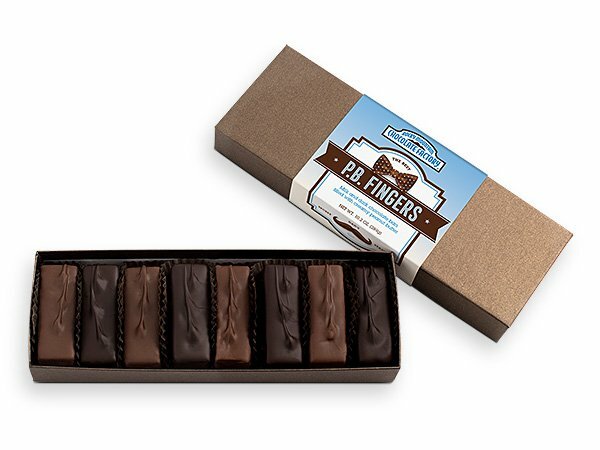 Treat him to his favorite sweet treat this Father's Day with our specialty Peanut Butter Fingers gift box. 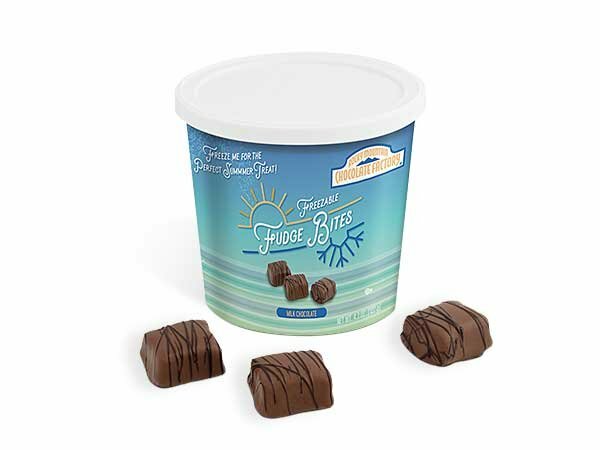 Eight milk and dark chocolate Peanut Butter Fingers in a memorable Dad's Day gift box makes the perfect present for Dad! A delightful little treat for Dad. Choose between milk chocolate covered potato chips or our world famous caramel popcorn, Rocky Pop­™. 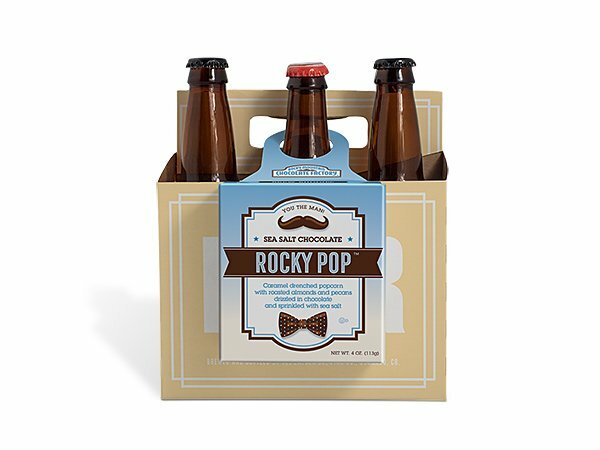 Both delicious treats come packaged in a hanging box, designed to pair perfectly with his favorite soda or beer. 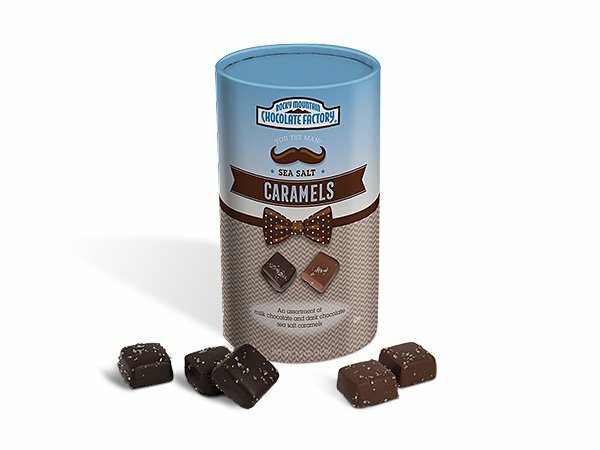 7.5 oz of bite-sized milk and dark chocolate sea salt caramels come packaged inside a special Dad's Day gift tube. It's a great gift for the dad who loves to share (or just likes to keep stashes of candy all over the house!). For more gift ideas and fun activities for Dad, visit our Father's Day board on Pinterest!